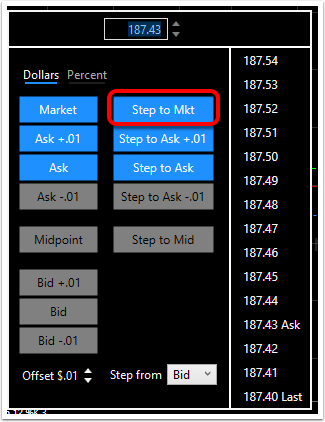 A Step to Market order can be used with an order to buy, sell or close a Stock position. 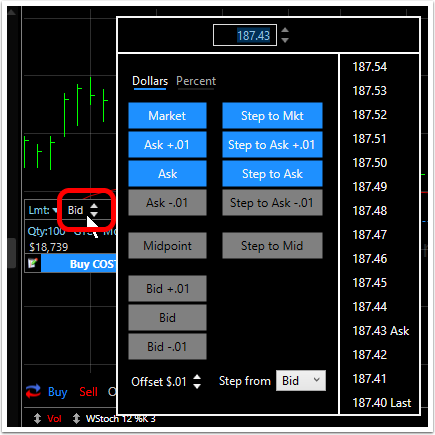 The Step to Market order automatically modifies the order from a selected starting value in the spread toward the Market. Select the starting value for the order and the program does the rest. 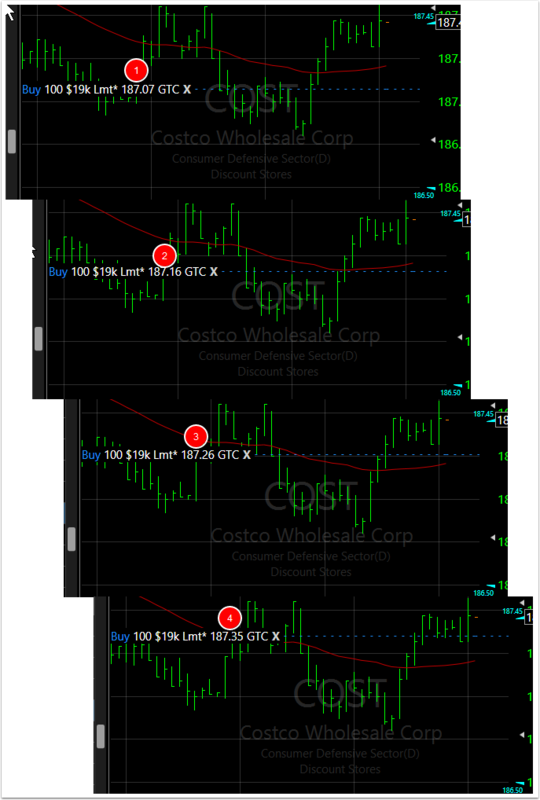 The idea behind this order is to attempt to get a more favorable fill than the Market price. If no preferable fill is available the order will go to the Market. 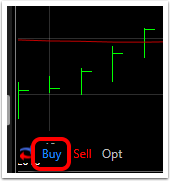 Reminder: We will use a buy order for this, but the Step to Market order can also be used to sell or close a position. Set the Step from field. 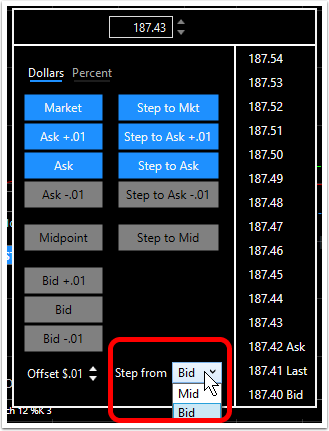 The Step to Market order can be initiated from the Bid (on the buy side) or the Mid (midpoint of the bid/ask spread). The initial limit order will be placed as specified (in this case at the mid-point of the spread). Then the order will be modified up toward the Market. If the limit price is filled somewhere prior to reaching the market, you may receive a preferable fill price. 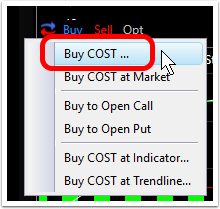 If the limit order is not filled, then the order will go to the current market price to be filled.